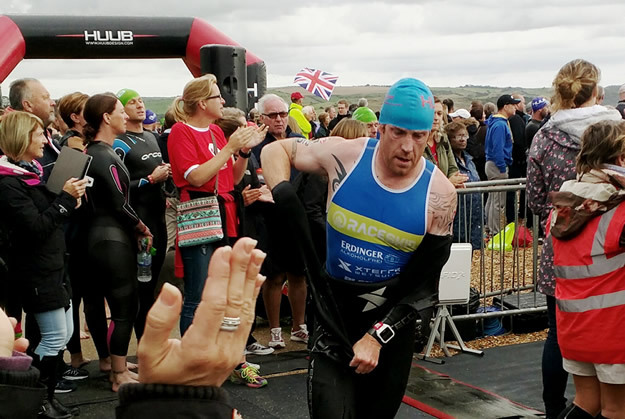 After racing The Bastion and The Outlaw in quick succession in July this year, regular Tri247 contributor Karl Alexander had another iron-distance event on his schedule as a major end-of-season target, Challenge Weymouth. After a DNF in the event last year - his first ever - Karl had added incentive to put things right this time around, and having previewed the bike course for us, was ready to perform. An unforseen turn of events shortly before the race added a 'point to prove' to the 'score to settle' motivation... but how you deal with these things is key when challenges arise and Karl can be very happy with his Weymouth performance. 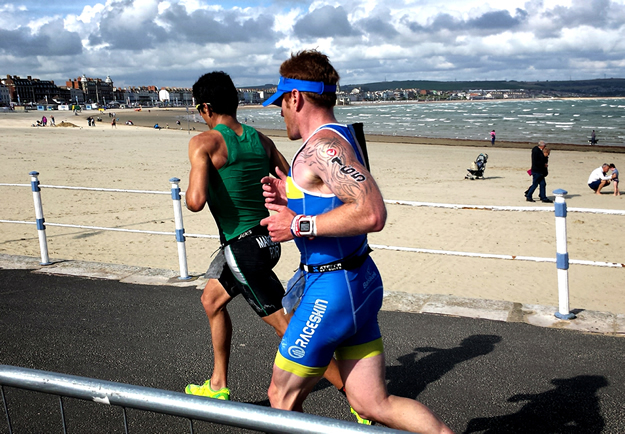 Whilst it may only be in its second year, my relationship with Challenge Weymouth has been far from laudable. A DNF last year left me with a score to settle and, due to recent developments, a point to prove. Racing the 2014 edition as a PRO, I had assumed that I would be able to enter as a PRO for this year's race. This was not the case - a ruling effective from 31st March means that all athletes wanting to race in the professional ranks at a Challenge event had to provide their Elite/Pro status from their National Governing Body. I've had some pretty decent results and looking at the requirements on the Triathlon England website, I honestly didn't think I had a problem and this would simply be a quick admin exercise… how wrong I was. To cut a long story short, I was told in no uncertain terms that I wasn't a quick enough runner and that my application would be declined. I thought it very unusual that I could submit a standalone marathon time and that would be considered. Now, I'm no expert, but how is a standalone marathon time in any way indicative of my ability to run off the bike after a 2.4 mile swim and 112 miles on the bike? I took the news badly and one week before Challenge Weymouth I ran a 2:56 marathon alone in training, far from the best way to begin a taper, but the rationale to not award me hit my confidence hard and I needed to prove it, if only to myself. Driving to Weymouth on Saturday, we hit heavy traffic. It seemed that people were incapable of not crashing into each other and on the way down my mood was sombre. I considered turning the car around and going home or even dropping to the half event instead. But, sheer bloody mindedness kept me going. Arriving in Weymouth, I headed to the Pavilion for registration and I saw a number of friendly faces, which started to change my mood. I caught up with my sponsors ERDINGER Alkoholfrei, Pete, Jess, Johnny and Fleur (Fleur is Pete's adorable Collie), and a few other friends. Once I had my numbers and race bags I headed to Lodmoor Country Park to rack my bike. This year my wife and I were staying with Lisa and Chris (Kit) Walker; many thanks for your amazing hospitality it was great to be in such relaxed company coming into the event. Since I clearly wasn't racing PRO and hadn't put name down for representing GB in the age group race, I was scheduled to start in the third wave some 15 minutes behind the PRO's and 10 minutes behind the GB AG'ers. I knew I would be in for a day of a lot of overtaking and decided to turn this into a positive, everyone ahead started at the same time and if I could see you, I would pass you (if you imagine Liam Neeson saying that, it sounds awesome!). Arriving in transition at 6am we were greeted with rain. A little smile began to emerge on my face as regular readers will know I love poor conditions. I tolerate the cold and wet well until I went to put a little air in my tyres and I managed to snap my crack pipe! Not literally a crack pipe... but the valve adapter that allows you to inflate disc wheels. I wondered about looking for disc wheels in transition and asking their owners if I could borrow theirs but nobody seemed to have one. I decide to retreat from the rain and head back to my car and get out of the wet and cold and get into my wetsuit before heading to the swim start. I watched as the first two waves headed out and then it was my turn. I had managed get my head back in the game and chatted to my ginger brother, Matt Molloy. I knew Matt would have a blinder of a swim, but if recent form was still relevant, I would catch him at about 30 miles into the bike. 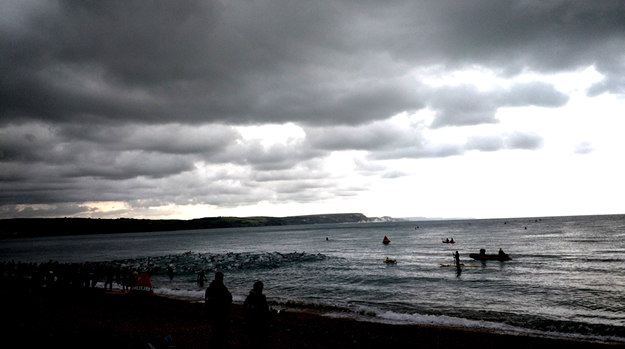 The first lap of the swim went by, but the wind was driving the chop and the second lap was 'rolling', and as I expected, I started to catch the back markers of the wave ahead. I was swimming here and there to get around. Imagine a busy High Street at 5am, you could walk down it pretty quick. Now walk down the same street at 8:30. Combined with the fact that living in landlocked High Wycombe sea swimming isn't a regular occurrence, my 1:03 swim wasn't a surprise. I raced through transition and saw Steve Berry drinking a coke and getting ready to ride. I shouted at him to pick up the pace and was away onto the bike course. After a few miles I was into my rhythm and after a few miles more I was passing riders like a maniac. At 30 miles I passed some fella called Matt and was head down working hard. I was picking off riders ahead, locking on and bringing them back. My legs were feeling great but I was going hoarse shouting 'on your right' or 'keep left'. On the turn at the end of the lap, my wife shouted I was 22 minutes off the PRO men. They started 15 minutes ahead, so in reality I was only seven minutes down and feeling great. I kept pushing and began to catch the tail enders of the Weymouth Half. About 70 miles in to the race my bike began to make some serious protesting noises from the bottom bracket. 10 miles later the cranks were so loose and the chain kept derailing to the inner ring. Those that raced will know the last 12 miles or so were blessed with a fearsome tailwind, one I tried to capitalise on but couldn't. I was spinning out, my legs going like a humming birds wing. Despite this, I had made a lot of ground up on those that started ahead. Now, the marathon. You'll appreciate this is where I had my point to prove. I wanted a strong run, one that would leave little doubt in anyone's mind. I've been guilty of running too hard to start and fading badly towards the end. Leaving T2 I got some great encouragement from John Lunt, the man behind the 2012 Olympic Games Triathlon. I had a plan, a plan I wanted to stick to and by and large I did, taking nearly 14 minutes off my previous iron-distance marathon best. With the exception of a quick 'pit-stop' I ran the entire marathon and clocked a 3:17. Despite finishing tenth overall and winning the 35-39 age group, I'm wondering what could have been. 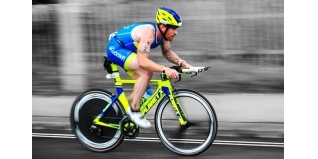 Starting in the PRO wave I would at least have known who I was chasing, who I was racing against, but starting 15 minutes back, it was a solo time trial over the iron-distance, my nose in the wind alone chasing the next corner hoping I would see them. Whatever happens, I've had a great year, won some fantastic races, battled some amazing athletes and made some good friends. 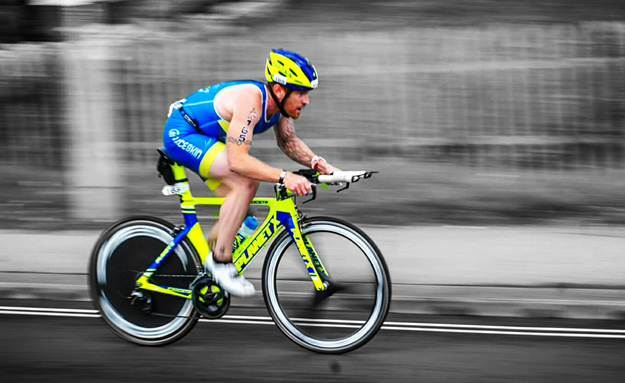 I have the Gauntlet at Hever Castle and The Huntsman Triathlon from Always Aim High, including a new course for the bike and run that I designed. This will be a great event to end the season (if you are not Kona bound). I'll be there, come and race!